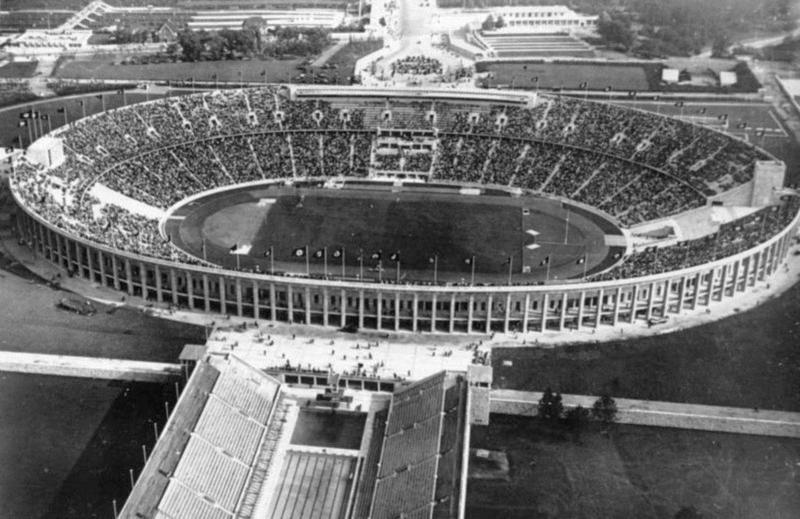 The Olympiastadion was built between 1934 and 1936 to serve as the centrepiece of the 1936 Olympics. It officially opened on the 1st of August 1936 with the Olympic opening ceremony. Most notable event during the Games were the four gold medals of African-American track and field athlete Jesse Owens. 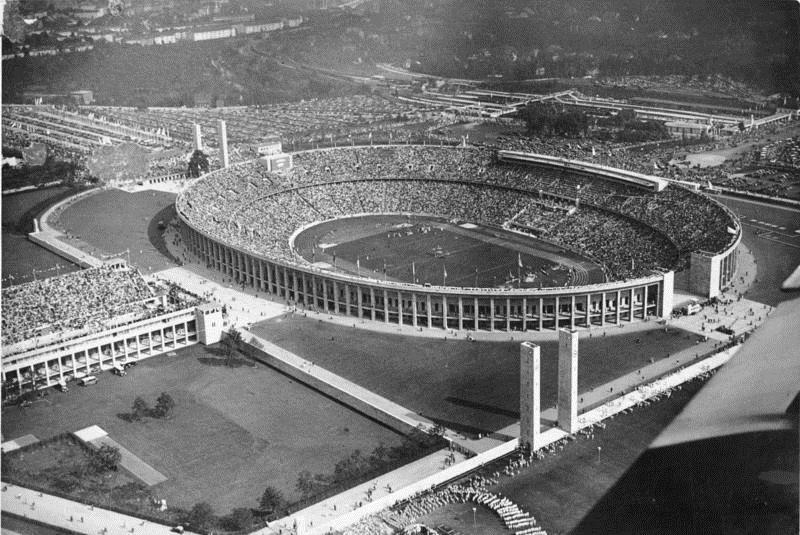 The stadium remained largely unchanged until it underwent a major renovation in 1972 and 1973, mainly aimed at preparing the stadium for the upcoming 1974 World Cup. The works included the construction of two roofs over the upper tiers of both long sides. 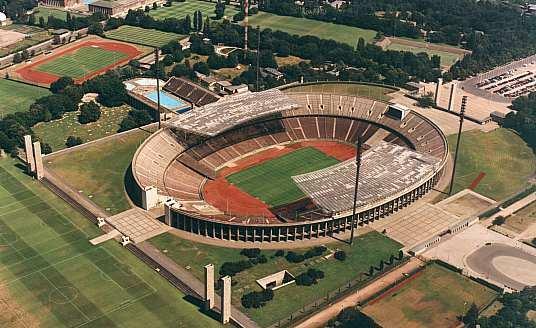 During the World Cup, Olympiastadion hosted three matches in the first group stage. 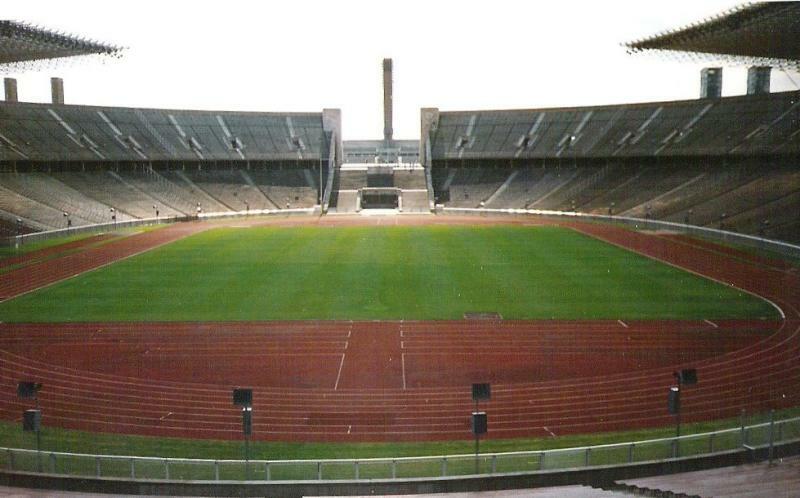 The stadium had significantly aged by the 1990s and the city of Berlin therefore started a debate over its future. Voices went up to rebuilt it as a football-specific stadium, but in the end was chosen to renovate it instead and keep its status as a multi-purpose stadium. Little after that decision had been made, the stadium was awarded the final of the 2006 World Cup as part of the German bid. 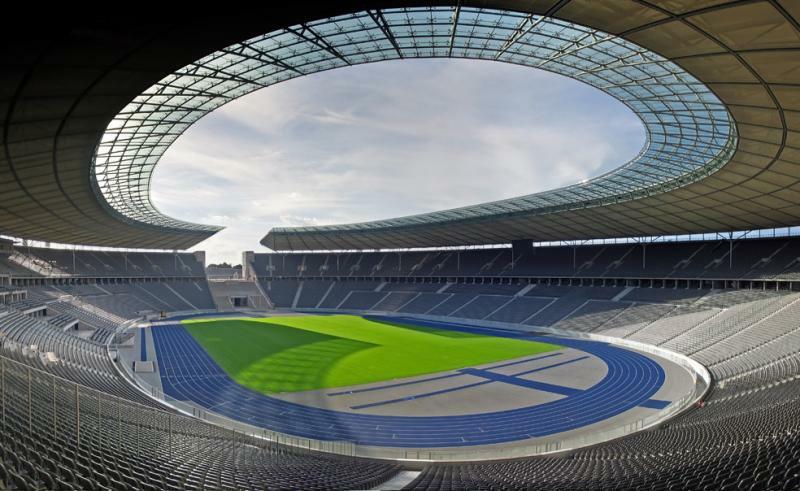 The renovation of the Olympiastadion involved the complete reconstruction of the lower tier and the installation of a new roof. Works were completed in 2004, and the stadium was reopened with a friendly international match between Germany and Brazil (1-1). During the 2006 World Cup, the Olympiastadion hosted four group matches, a quarter-final, and the final between Italy and France (1-1). In 2015, the stadium hosted the Champions League final between Barcelona and Juventus (3-1). In 2016, Hertha BSC presented plans to build their own new stadium, being unhappy at the too large non-football Olympiastadion. 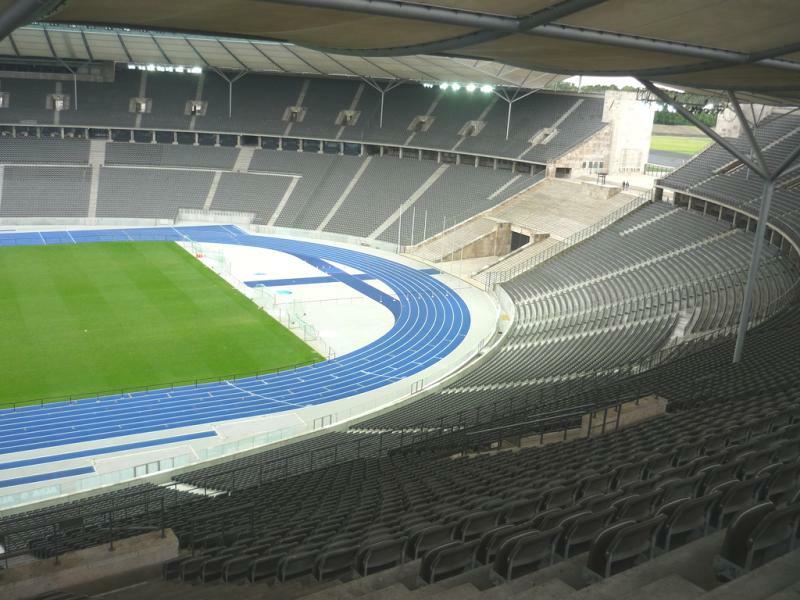 They hope to build the Hertha Fussballarena with a capacity of 55,000 next to the Olympiastadion. 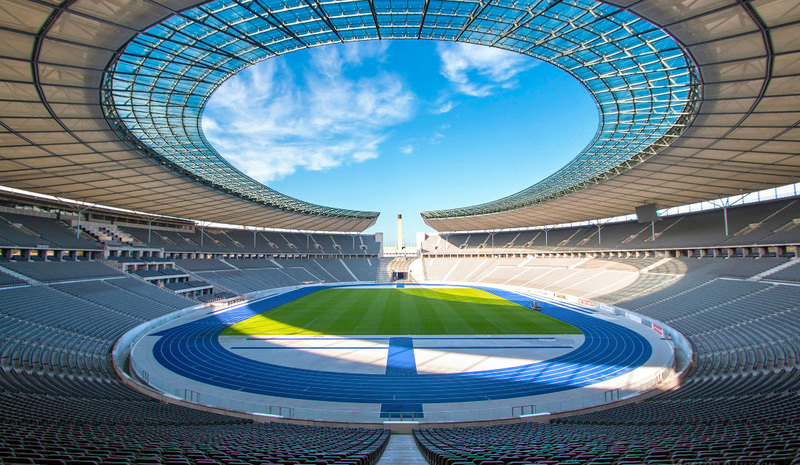 Olympiastadion is located in the west of Berlin, almost 7 kilometres from the western end of the Kurfürstendamm, and 10 kilometres from the Brandenburg Gate and Berlin’s main railway station (Hauptbahnhof). It is part of the Olympic Park, which includes other sports facilities. The stadium can be easily reached by metro (U-Bahn). Take either line U2 or U12, which both can be boarded at several points in the city centre. Get off at stop Olympia-Stadion. It takes about 25 minutes to reach the stadium from Potsdamer Platz, and about 15 minutes from Zoologische Garten. Alternatively, you can get to the stadium by commuter rail (S-Bahn). Take either line S5 or S75 to station Olympiastadion. Both lines link the stadium with Berlin’s major railway stations in the centre, as well with station Spandau in the west. Olympiastadion is located in a green area of parks and sports facilities, which is a pleasant surrounding on a nice summer day. There is not a whole lot around in terms of eating and drinking apart from a local beer garden and restaurant. There are a few more restaurants a half-an-hour walk away near metro station Theodor-Heuss-Platz, but there’s of course no lack of options elsewhere in Berlin. 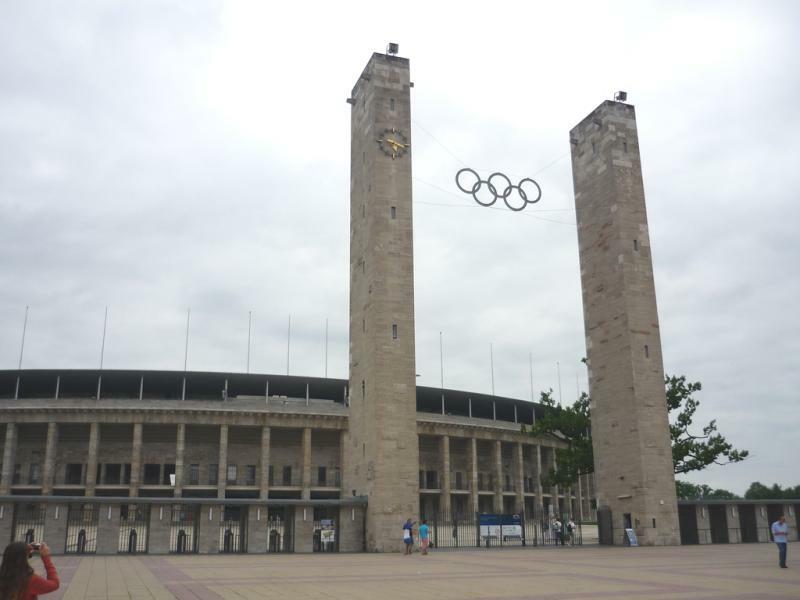 There are neither a whole lot of hotels near the Olympiastadion. Michels Apart Hotel is the closest, a short walk away, Alecsa Hotel is a budget alternative a little further away, and Ivbergs Messehotel is also still just a walking distance. 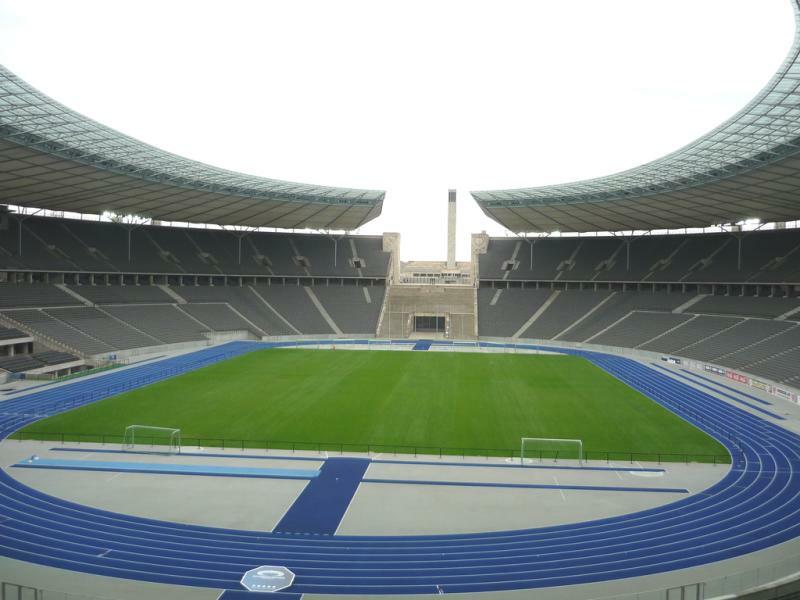 Click here for all hotels near the Olympiastadion. Of course, there are also tons of other options elsewhere in Berlin. Tickets for Hertha BSC games can be bought online (print@home), by phone +49 (0) 30-300 928 1892 (Ticket Hotline), or at one of Hertha’s seven fanshops. Of these fanshops, the ones at the Olympiastadion, Breitscheidplatz, Mall of Berlin, and Hauptbahnhof are the most conveniently located. 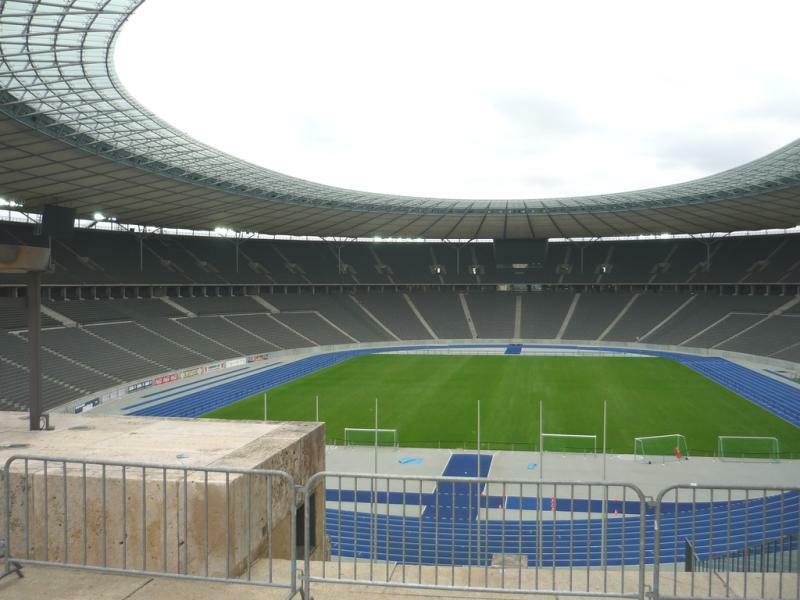 Hertha only sell out two or three high-profile matches per year. Tickets may not always be sold on the day of the match though, and it is therefore advised to buy them in advance at least one day before the match. Hertha BSC have divided their home matches into three pricing categories. Tickets for a category 3 match, the cheapest, range in price from €17.00 for a seat behind the goal to €46.00 for a seat at the main stand. Tickets for category 1 matches, the most expensive, cost between €33.00 and €96.00. Tickets for the Ostkurve fans section go for a flat €15.00, but are generally not available on general sale. Alternatively, the stadium offers guided stadium tours (only in German) that include more parts of the stadium, and last 60 to 75 minutes. These tours run every day in the summer months at 11:00 am, 1:00 pm, and 3:00 pm (and an extra one at 5:00 pm during the summer holidays). In the winter months they only run at 11:00 am. The tour costs €11.00, and can be booked online. Hertha BSC also offer special Hertha tours that include the club grounds outside of the stadium. These tours run between April and October on selected dates and cost €11.00. Herthabsc.de – Official website of Hertha BSC. Visitberlin.de – Official tourism portal for the city of Berlin. Bvg.de – Berlin public transport travel information. I attended the Bundesliga game between Hertha and Eintracht Frankfurt in February 2017. 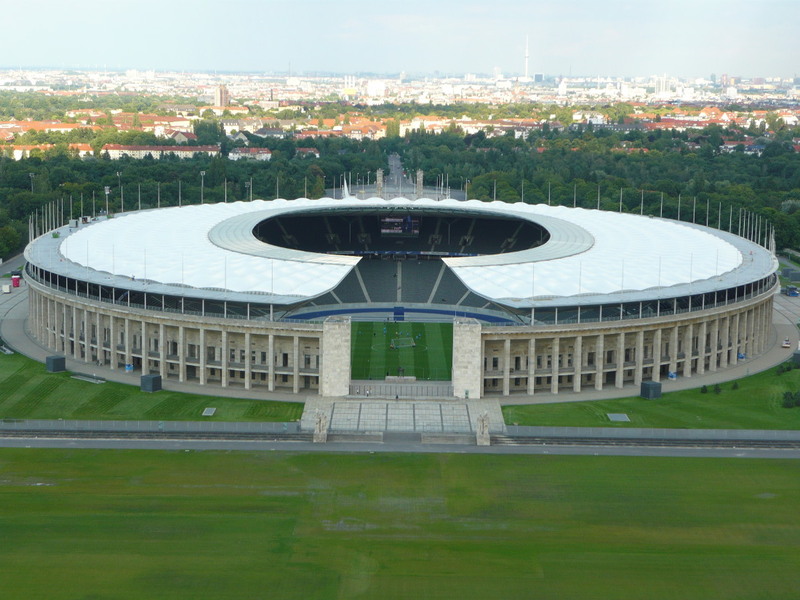 The stadium looks like a gigantic granite UFO landed in Berlin, and then sculptors carved out to make the stadium that we have – visually it is a stunning piece of architecture, albeit with a chequered history, of course. Inside, I felt the posts holding up the roof on the top tier detracted from the aesthetics of the stadium, and somewhere between 25 & 35% (give or take) of the top tier was empty, which took away from the atmosphere, although the Hertha fans at the Ost Curve were very vocal. I can imagine the atmosphere improving somewhat when the stadium is full. Whilst there aren’t many ‘fixed’ things to do around the stadium, the sides of the huge car park at the eastern end of the stadium are full with beer, food, and souvenir trucks, so there’s no issue with getting fed and watered. Additionally, the bratwurst inside the stadium were excellent, and beer is served too, and can be taken to your seat. I purchased my ticket on the official website, and collected from a kiosk 2 hours prior to kick-off, seamlessly. 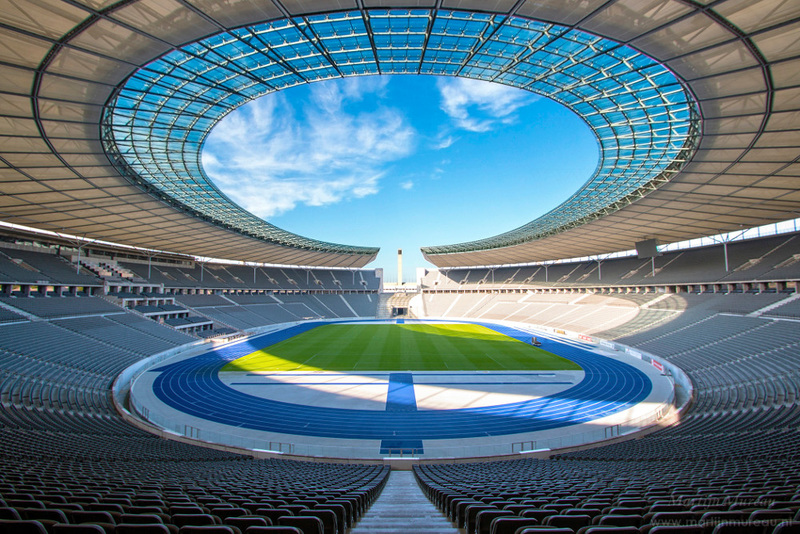 One point of correction in the description at the top of the page – the Olympiastadion is to the west of Berlin, not the east. Derek try viagogo.co.uk I have bought tickets from this website before and it seems to be ok. Prices are high but with sold out matches you do not have too many options. I have been to few matches in Germany and everywhere they sold tickets outside the stadiums. As far as I remember touts were selling tickets for Hertha as well. Good luck with your ticket. @Niclas I know I did not choose the best game but I was in Berlin on the day of the game so I went. I like German stadiums and German fans. My next trip will be Bremen, Wolfsburg, Hamburg and Hannover. Booked up to go to Berlin months ago and selected our trip dates around the home game V Bayern. Waited an age for the tickets to become available but they never did. Emailed the club only to be told they are already sold out 🙁 Does anyone know if people sell tickets outside the ground on the day or are there any other websites I can try for people selling tickets for genuine reasons? Very nice ground. I went to watch Hertha against Ausburg on 23/01/2016. It was a boring 0-0 in a cold afternoon. The attendance was 36000 and I found it shocking. Literally the half of the stadium was empty. I bought my ticket online and picked it up from ticket window on the day. There is a station just outside the stadium. Supporters behind one of the goals very very live during the entire game. Recommended, but try to pick up a good game to go to.